It began with an idea for natural beauty by artists Scott and Nina when they met over 10 years ago as hairstylists. 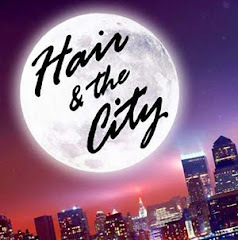 In September of 2010 HAIR & THE CITY became a reality, an American-French fusion. Nina hailing from Paris, France, became a color expert at L’Oreal Academy of Paris, manager and stylist at Jean Claude Biguine Paris and New York, colorist, Heads spin, Yann Varin salon and Make-up artist and hairstylist at DEX NY . She has worked on high fashion photo shoots, bridal shows and events, backstage at top fashion shows. Scott, a native New Yorker also became an expert colorist, studied with top technicians in the business at the L’Oreal Academy in Soho, to become a hairstylist and colorist at Jean Claude Biguine, New York and furthered his career at DEX NY. He has worked with top commercial photographers on editorial and fine art photography for television, film, special events, top fashion designers, models and fashion shows. Their combined passion for hair styling and many years of experience in the industry brought them together as a unique team in the world of beauty, a signature color and style highlighted to your natural individual beauty.